The Derby, notorious for its role in the movie Swingers, was recently turned into the hippest music venue in all of LA. On a bill featuring 2 of LA's most popular independent artists, The Derby was filled to the brim with LA swingers. Gary Jules, who has single-handadly turned the Hotel Cafe into a hip music locale started the night off with a beautiful performance. His music is the fusion of Cat Stevens poetic imagary fused with the hot sound of alt-country superstar Ryan Adams. Performing with his back up band "The Group Rules," Gary writes songs that are a throwback to the singer/songwriter boom of the early 70's. He is a neo-hippie songwriter and quickly becoming one of the most recognizable figures on the scene. Following Jules, Gingersol, a two piece New York based band took the stage. The band, which was recently featured on Pete Yorn and Rami Jaffee's, Trampoline Records Greatest Hits was the nights biggest suprise. They have a wholly unique sound is formed from country, rock and pop influences. 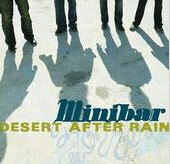 With members of Minibar helping to round out the band, Gingersol commanded the Derby with their infectious songs. The night ended with former Universal recording artists Minibar taking the stage. Minibar, who recently released an EP produced by Wallflower Rami Jaffee, played their brand of infectious pop the the hip LA crowd. Three part harmonies, reminicint of CSN, are the focal point of the bands sound. The band is filled with multi-talented musicians and cover a broad array of styles. Guitarist Tim Walker frequently took over on lap steel guitar to add the country flavor that had been consistant with the night. Overall these are three bands that are worth checking out.